Speer provides advanced security solutions to small, medium and large enterprises. Speer enables businesses to stay one-step ahead of the next wave of viruses, malware, and other online threats. Speer provides comprehensive, integrated information security solutions that span all your environments. 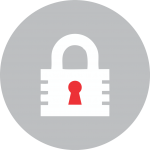 Our endpoint and mobile security solutions protect your end-user devices from threats, including viruses, phishing, malware, and other threats that target endpoints and users, and include leading-edge antivirus software and web security protection. Our network security solutions protect your network and its perimeter. Speer aims to protect your servers, databases, and data centers from threats that target enterprise systems. Our cloud security solutions provide advanced protection from online threats, whether you are using public, private, or hybrid cloud computing technologies. Finally, Speer provides consulting, education, and technical support for all our security products and solutions. With Active Directory Authentication, users are able to use the same passwords to sign into both on-premises and cloud-based applications. They spend less time talking to the IT help desk resolving password-related issues by completing self-service password management tasks in the cloud. With seamless single sign-on, users will be able to avoid entering passwords repeatedly while at work. Active Directory also makes user management easier as it acts as a single repository for all user and computer related information. It adds another level of security through On-premises passwords and will never be stored in the cloud in any form. Pass-through authentication integrates with Azure AD’s cloud protection capabilities such as Conditional Access policies (including Multi-Factor Authentication), Identity Protection, and Smart Lockout to enable a highly secure sign-in experience for end users. Speer experts can help develop a business continuity plan, which is right for your business. In addition to Business Continuity, Speer offers clients Disaster recovery options. Speak to Speer today.